Despite the diversity of things to do in Istanbul, it’s easy to feel like weekend social activities are rinse-repeat. At times I have felt the tediousness of the regularity of routine. Going to the same familiar bars, the same favorite restaurants with the same group of people, talking about similar things eventually loses its taste. But, we are all here in this crazy, chaotic, bustling, lively city together for a reason. The determined experimentalist can find a variety of things to do and ways to engage with his or her locale. I felt this way after my first five months of living in Istanbul. Also, since theatre was always a dominant factor in my life it felt strange to suddenly find a void. At that moment, I was learning Turkish, but it wasn’t quite sufficient enough to actually perform anything on a Turkish stage. Thus, I stumbled upon a small English-language theatre group called Square Peg Theatre Troupe in their brand new venue, The Space. 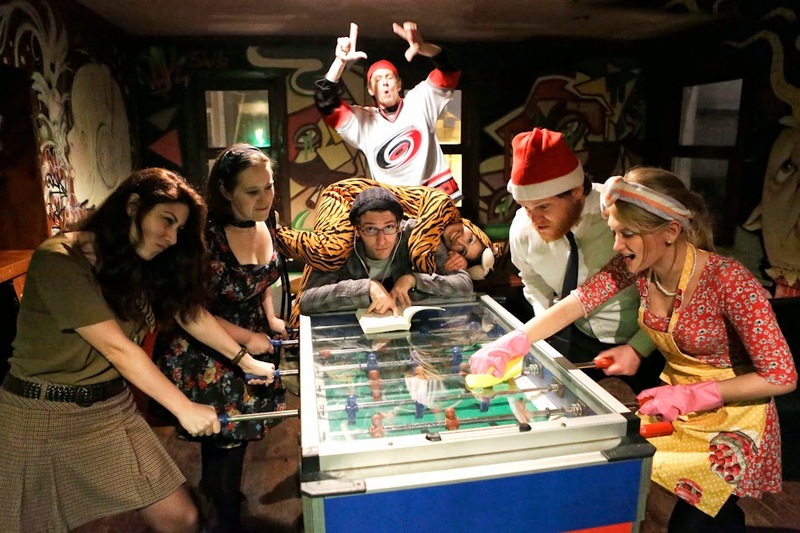 Although the The Space has since closed and Square Peg is currently inactive, the time that I spent as the manager of The Space led me to form an offshoot improvisational theatre troupe, currently known as The Clap, and collaborate with the improvisors of another Sqaure Peg spin-off group called Ephemerata. Every first and third Friday of the month the two groups, Ephemerata and The Clap, join forces to make an evening of improv at YOTA Doğaçlama Sahanesi in Taksim. 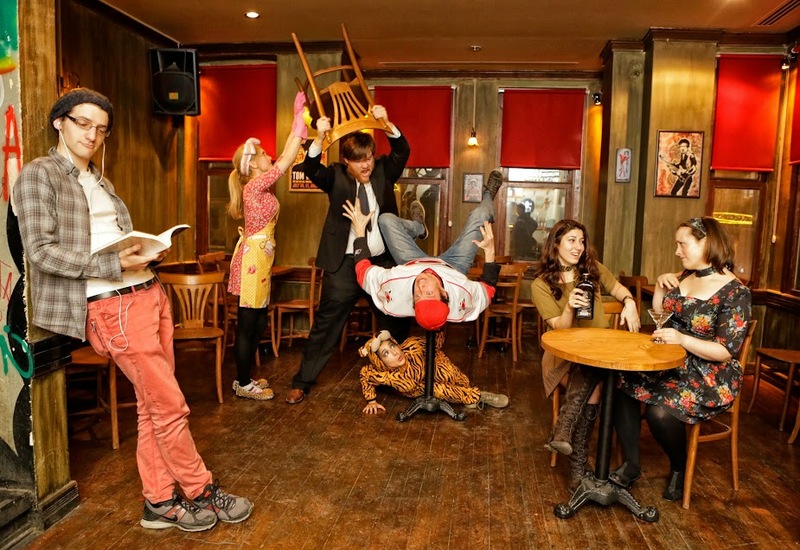 The theatre dedicates itself to bringing both English and Turkish improvisational forms of performance to stage and runs a conservatory program. The Clap has a rotating core of performers composed of a group of permanent travelers who united in the fall of 2013. Without a name, without a place to practice or perform, but the desire to stir things up and get onstage, inspired the group to meet weekly to train over the course of a year. Over the past year and a half, performance goals and styles have changed, beloved players have left and new players have joined. After wandering from venue to venue, from nontraditional rehearsal space to non-traditional rehearsal space, The Clap has found a home at YOTA. 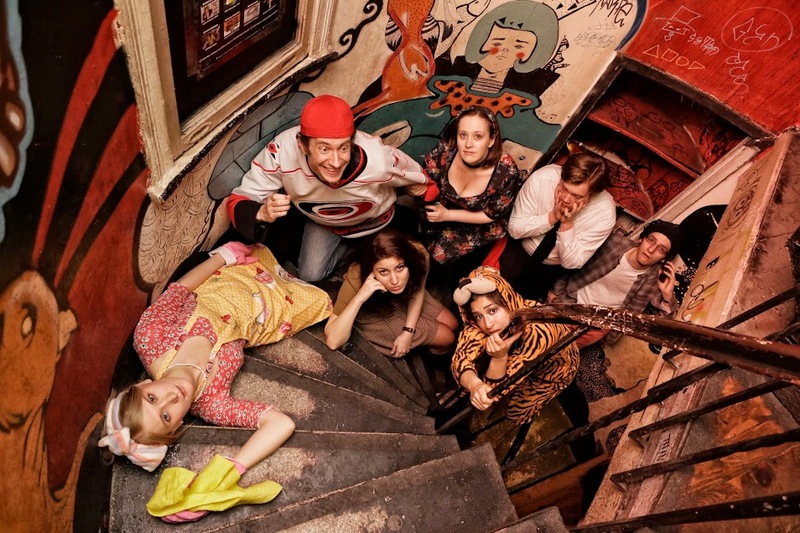 The 2014-2015 season culminates in the improvisational long form called the LaRonde-tage. The form itself gets its name from Arthur Schnitzler’s novel Traumnovelle, in which all characters sequentially bed each other from the first to the last and the last bedding the first. Although the performances of The Clap do not necessarily involve sequential bedding, all characters do interact with each other in this successive pattern until a cycle is complete. Then, the montage section of the show takes the foreground when the characters interact freely with each other until the action finds a climax. The show starts by a one-word audience suggestion, which inspires the five to seven players that night to create unique, never seen before characters. As the action progresses, the players and the audience discover together how the lives of the characters intertwine and clash over the duration of the 35 minutes show. Ephemerata, performed by Curtis Erhart and Tyler Denison, also originated in the fall of 2013. They are back for their second season on YOTA’s stage as well as performing at other venues and improvisational competitions around Turkey. Ephemerata is essentially a play in one act. Inspired by the TJ and Dave show in Chicago, Erhart and Denison step onto stage without any idea about what is about to happen. In fact, the show typically begins with a few moments of silence. The two observe the other until one of them makes a comment that serves as the impetus for the duration of the performance. Over the course of approximately 50 minutes, Erhart and Denison build a compelling story about the lives of the multiple quirky characters they create and the world in which they inhabit. It is completely improvised: they do not take any suggestions and they do not sketch out any plan ahead of time. The two groups perform together for a brief interlude between the two acts to reenact the day of one of the members of the audience. An audience volunteer is taken and interviewed about his or her day up until he or she arrived at the theatre, then the audience watches as a typical day (with some atypical) is transformed into sometimes a satire, sometimes a farce, but never just a bland every day. YOTA itself is located in the heart of Taksim, close to Demirören Mall on Atıf Yılmaz Sokak off of the main street, İstiklal Caddesi. Until now, it’s been like a well-kept secret; audience members typically arrive via word of mouth, threedegrees-of-separation connections or a chance discovery of the event on facebook. 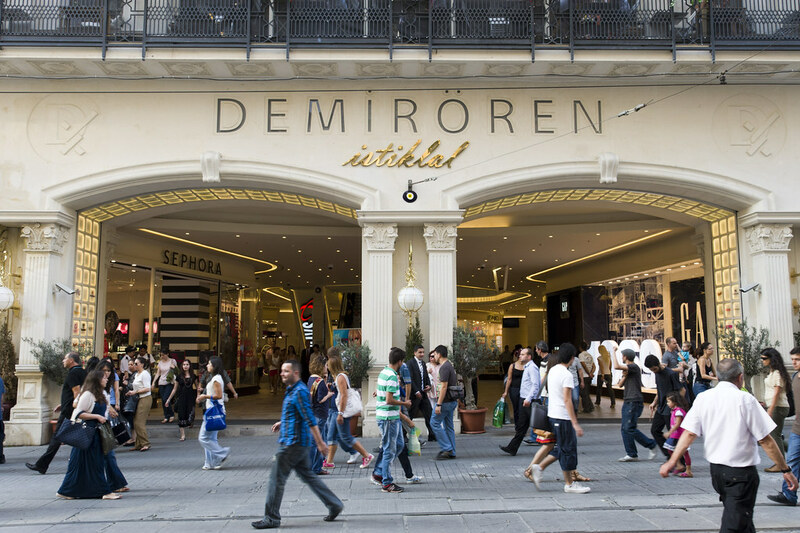 The theatre is nestled between the clothing shops of Atıf Yılmaz Sokak, number 16. Only a small banner displaying the name of the theatre hangs next to the doorway to mark the entrance. The intimate venue, located on the second floor, seats about 50 audience members. The atmosphere is friendly and fun. Audience and performers generally mingle during intermission and after the show, taking their conversations to close-by bars and cafes. According to the teachings of my tradition, the best kind of theatre happens when the audience is still talking about the show after it finishes and they have left the building. We have built a rapport with our audience members that makes them come again and again and inspired some of them to join our growing group. After all, this is the reason to choose to go to a theatre production over going to the cinema: we challenge you to interface with us.